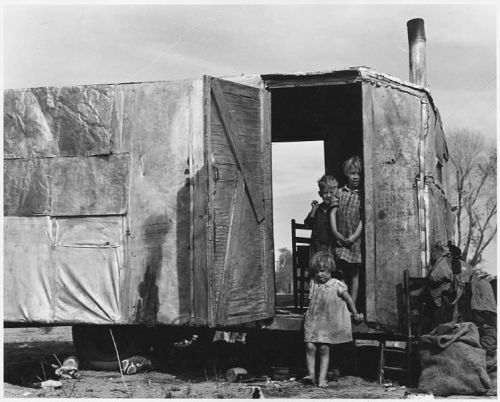 The people who lived in the high plains regions had to face the drought for at least 8 years. 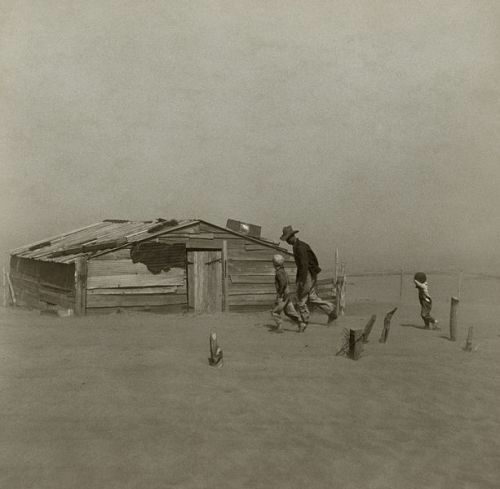 The failure of the farming method conducted by the farmers in that decade led into the dust bowl phenomenon. The top soil of Great Plains was deeply plowed by the farmers for agriculture. See facts about disasters here. The deep-rooted grasses, which lived at the top soil of Great Plains, were removed by the farmers so that they could conduct farming. Thus, the moisture and soil were not naturally trapped by the grasses for they had been eliminated. When the high winds and drought came, the soil was spread out. The farmers had the intention to transform the arid grassland into the farming land due to the development of farming equipment and mechanization. The combined harvesters as well as gasoline tractors were widely used by the farmers. The arid grassland only received around 250 mm or 10 inches of precipitation level per year. Since the soil was not trapped by the natural deep-rooted grasses, it was turned into dust. The sky was blackened due to the wind mixed with dust. 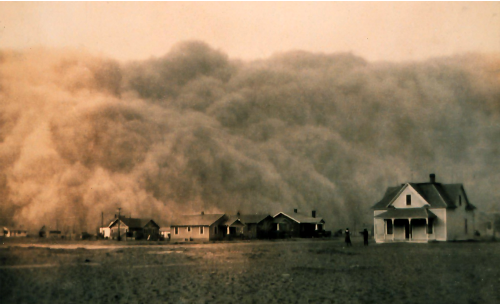 The term black blizzard was coined during the period to call the choking billow of dust. People also called it as black rollers. Get facts about Cyclone Pam here. The dust also moved due to the prevailing winds. It reached Washington DC and New York City. The visibility was declined rapidly at 3.3 feet to 1 meter in the Plains. 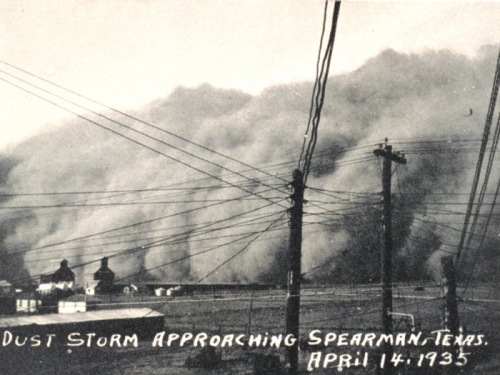 The term Dust Bowl was coined by the Kansas City news editor named Edward Stanley. 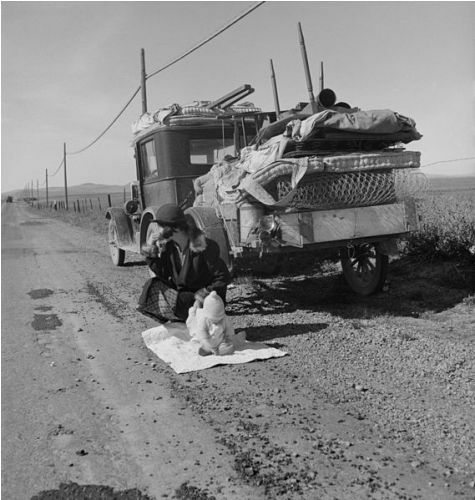 Do you have any opinion on facts about Dust Bowl?